At approximately 10pm this evening March 3rd, the Putnam County Bureau of Emergency Services issued the following statement from County Executive MaryEllen Odell on their facebook page regarding the continuing winter storm that is expected to dump up to 10 inches of snow in Putnam and the Harlem and Hudson Valleys tonight. "After meeting with the ICS Team and evaluating the impact of the current winter storm, Putnam County Executive MaryEllen Odell has delayed the opening of all Putnam County Government Offices with the exception of essential services for 2 hours on Monday, March 4, 2019. Offices that normally open at 8:00 will open at 10:00 AM and offices that normally open at 9:00 AM will open at 11:00 AM. Please call 9-1-1 if you need immediate police, fire or EMS response". 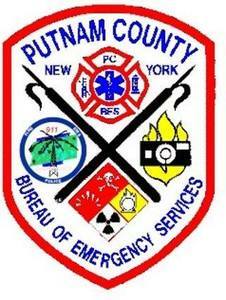 Remember to follow all Putnam County updates on NY ALERT.